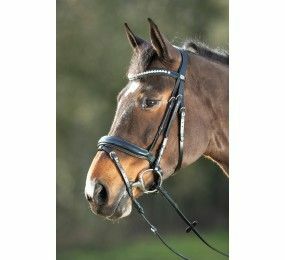 HFI nylon halter with neoprene lining and leather yokes / Nylon rope of 2m with leather finish / Chromed brass bucklesSize: Pony, Cob or Horse. The Air Tendon Boots have a tough outer shell casing which is styled in an extremely light yet strong TPU to protect against impact, whilst the tendon areas are reinforced with D3O shock absorbing molecules* for ultimate protection. The tendon area of the boot features intelligent ventilation holes. Cette parka allie féminité et technicité. Le tissus est imperméable ( niveau 8000) et respirant ( niveau 3000) permettant une utilisation optimale toute l'année. Elle peut être ajustée au niveau de la taille avec son cordon de serrage. Son double zip vous permettra également de la porter à cheval. Ce polo allie élégance et fémininité grâce à son col strassée et sa coupe princesse.La matière est agréable à porter. 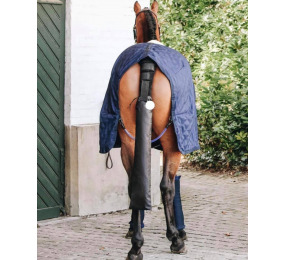 If you struggle to keep your horses’ tail clean from the moment you leave the yard, till you get to the competition venue, the Kentucky Horsewear Tail Guard is just what you are looking for! 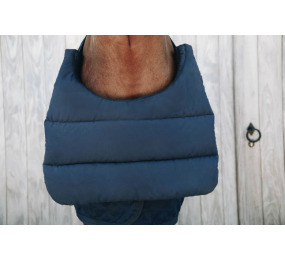 This tail guard ensures a good fit without sagging whilst at the same time being comfortable for the horse. Doudoune sans manches en polyester avec élastique au niveau des emmanchures permettant une aisance optimale.Il est doublé en matière polyfil ce qui apporte chaleur et confort.Sa coupe princesse le rend élégant et chic.Avec son double zip, il peut être porté à cheval ou en ville. SUPERDRY, Woman, Round neck, Viscose 97%, Polyester 3%, Machine wash 30 degrees. SUPERDRY, Polo, Men, Two buttons closure, Logo Classic , Cotton 60%, Polyester 40%. 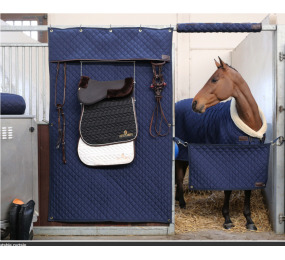 The Kentucky Stable Curtain offers your horse the well deserved rest on the show or at home. This Stable Curtain features five gold coloured, reinforced rings to attach to the stall. 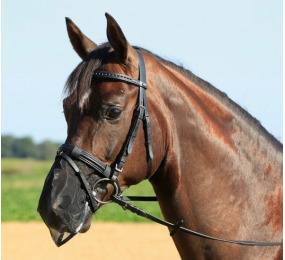 Bridle with anatomic headpiece, browband and noseband padded with soft leather / Fancy stitches and yokes / Cream stitching / Soft rubber 1⁄2 reins. Available in BlackSize: Pony, Cob or Horse. 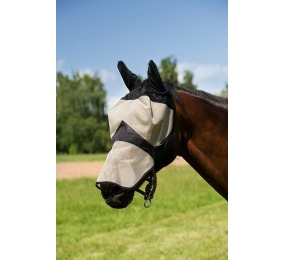 Horze Flywarmer Mask, This simple mask signifies the end of harassing flies on the nostrils during your rides,Prevent flies from harrassing your horse while it grazes quietly with this No-Flyer Mask, It attaches with a velcro and can also be used during mounted work. T-Shirt enfant Magique "Pony Love" Equi-Kids. La collection Equi-Kids destinée aux enfants entre 4 et 10 ans vous raviera ! L'ambassadrice de la marque, Sophie Thalmann, mannequin et Miss France 1998 soutien nos deux idées pour cette collection : L’amour du cheval et des enfants. 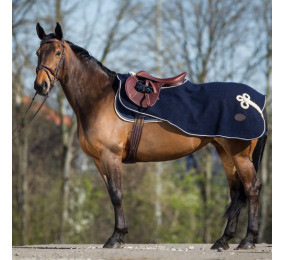 The BIB is the ideal pad to protect your horse’s chest from rubs caused by rugs. It is a pad that exists out of two flaps which you put over the front of the rug where the front closures are. FOOLFASHION, société créée en 2011, partenaire officiel du CHI de Genève & du Swiss Team Trophy.